"The University of Washington’s computer science program granted 30 percent of its undergraduate degrees last year to women, a mark that earned it recognition from the National Center for Women and Information Technology (NCWIT)." according to Benjamin Romano, editor of Xconomy Seattle. Ed Lazowska, lecturer Allison Obourn, director of student services Crystal Eney and Ruth Anderson were on the UW team credited by the NCWIT, which is presenting the awards Thursday at its annual summit. 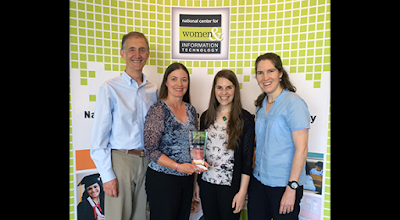 UW CSE’s Ed Lazowska, Crystal Eney, Allison Obourn, and Ruth Anderson with the NCWIT NEXT Award Grand Prize trophy. 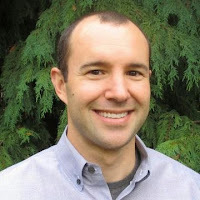 course that students take before they’ve declared computer science as their major. It’s broad in scope, meant to encourage everyone to participate, with some specific programs highlighting research by women and women working in the industry. Many of the undergraduate teaching assistants are women.